Stop by our Milwaukee Pediatric Dentist office and win an Oral-B Prize Pack! 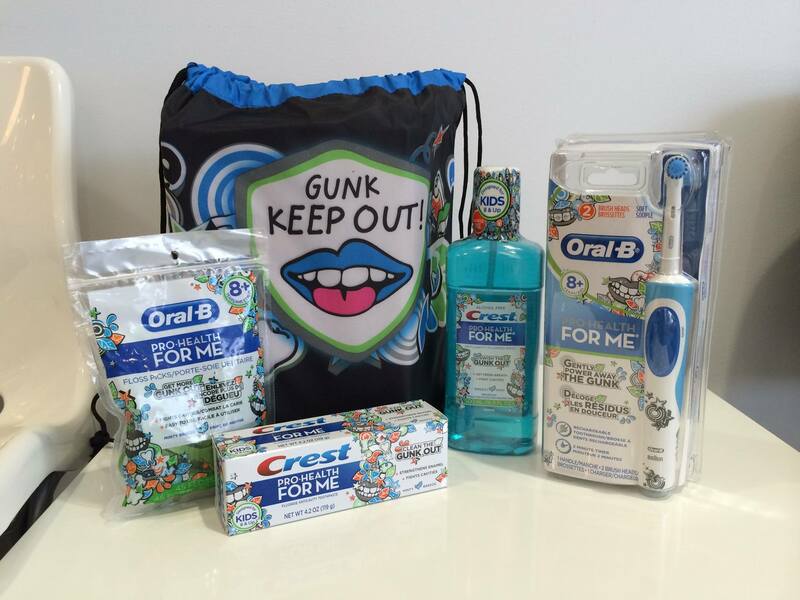 Visit our office in May or June and find out how to win a free OralB “Get the Gunk Out” dental prize pack worth over $45. We are so excited about the upcoming summer here at Wagner Pediatric Dentistry. The weather is getting warmer here in Milwaukee. We love to see all of the smiling faces walking by our office. We are so fortunate to be on such a fun street in Whitefish Bay. Kids hanging around all day!! So while you are cruising Silver Spring, stop by our office, you might win this great prize! Wagner Pediatric Dentistry is the office of Dr. CJ Wagner DMD, Board Certified Pediatric Dentist. He serves the communities of Milwaukee, Shorewood, Whitefish Bay, Mequon, Fox Point, Brown Deer, Bayside, River Hills and West Allis, WI. Dr. Wagner loves contests, so what better way to bring in summer by offering up one of his favorite prize packs from Crest/Oral B. Oral hygiene is one of the main concerns of this Milwaukee Pediatric Dentist. If you have any questions about your child’s care, please call at 414-939-3870.